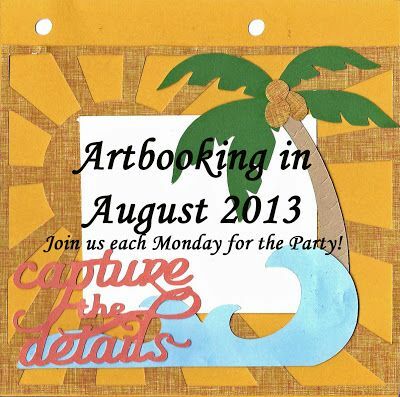 Welcome to the second week of our 4 week blog hop, Artbooking in August! Its a celebration of the many creative ways you can use the new Artbooking Cricut Collection - mini books, layouts, cards and home decor/gift items! Last week was a BLAST celebrating with so many consultants the amazing things this cartridge can create! I know this week is going to be just as much fun! This hop is a circular hop so if you go all the way around, you'll wind up back here. 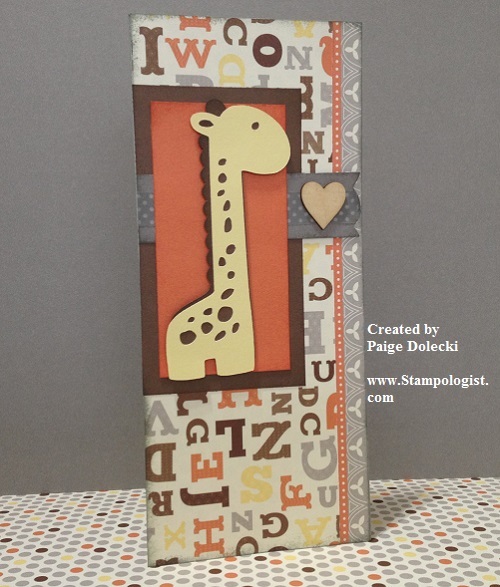 This week I am sharing an adorable baby card made with our cutie patootie new Babycakes paper pack! 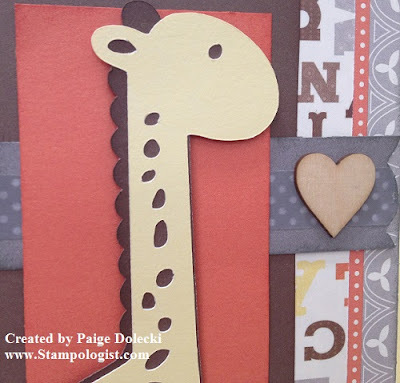 (Click here to see last week's Love Mini Album video) The giraffe paper in Babycakes is so sweet but being able to cut as many giraffes in any size with Artbooking? Priceless! Can't you just see this guy done in vinyl on a nursery wall or on top of a baby keepsake box with matching mini album? Here is a close up of the ribbon treatment under the mat - a little Slate CS shaped with a corner rounder and then Washi tape added down the middle. The wooden shape is from our Trinkets collection - totally kicking myself for not getting these sooner! They come in a package of 57 assorted shapes and sizes and work perfectly for adding a little umph to your project! If you like what you've seen, you can stay up to date with all I do by following me on Facebook at www.Facebook.com/Stampologist or by following this blog by e-mail in the upper right corner. Thanks for stopping by today! Lovin' this card- what a cute baby design - any mom would love!! Very, very cute. I love this paper! Great card! I still have not bought this pack yet. I need to get it ordered. I just love that giraffe! Your card is really cute. I like the way you finished the inside. Love this card. Cant wait to order this paper. This giraffe is so stinkin' cute! Love how it works with the Babycakes paper. Thanks for the inspiration!